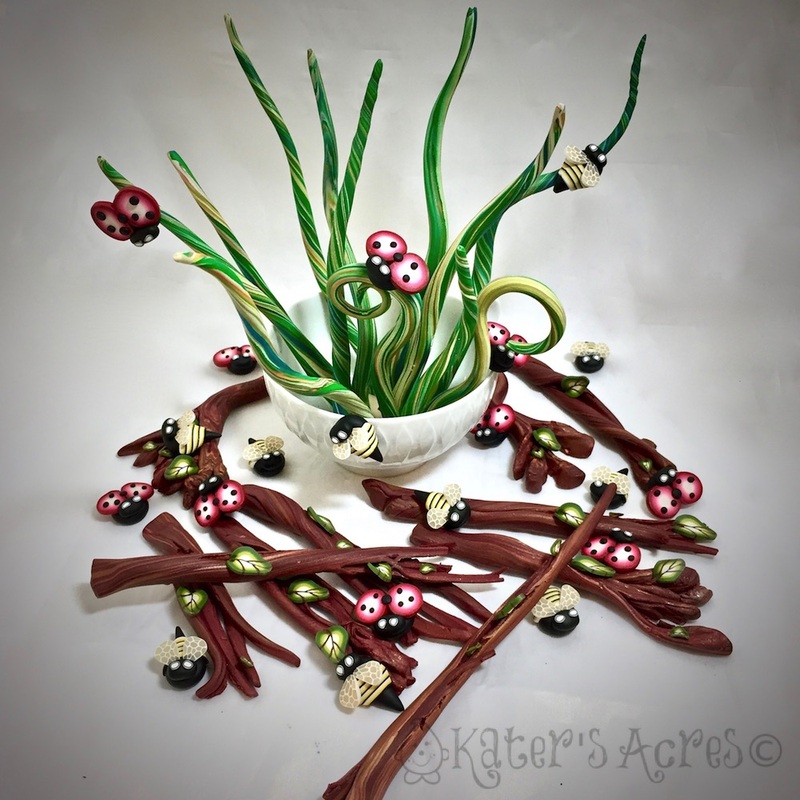 Featured polymer clay items from our store. I’m in need of clay Christmas ornament donations. Are you willing to help? I’m calling on you. That’s right you. I’m calling on all clayers worldwide! I need your help decorating a Christmas tree for Cystic Fibrosis patients again this year. Are you willing to help me? Please see the information below for details on making your clay Christmas ornament donation. It is my truest belief that art in and of itself is healing. I also know that not everyone can afford to pay for art classes. Because I believe so strongly in art’s ability to heal our mind and our heart, I am offering a 2018 Scholarship to the Whimsical Sculpting Tutorials Club. The details on how you enter to be chosen are below. This months Sculpting Club Membership is a bonus month with 3 full PDF tutorials! If you have been on the fence about joining the Sculpting Club, this is your opportunity. You get THREE PDF tutorials (plus extras) for just $9.95, that’s less than $3.50 each; it’s a really good deal and a great way to learn how to sculpt. WIP Wednesday is here again! It’s time for the August 2017 review at KatersAcres. If you are looking for more regular behind the scenes and in process stories, join me over on Instagram, as well as an occasional Insta-stories. These also may contain many of these behind-the-scenes photos, tests, life events, and what’s going on in my studio. WIP Wednesday is here again! It’s time for the month end review at KatersAcres. WIP Wednesday posts are becoming further apart these days for many reasons. One is because I’m sharing more behind the scenes and in process stories over on Instagram, as well as an occasional Insta-stories. These also may contain many of these behind-the-scenes photos, tests, life events, and what’s going on in my studio. 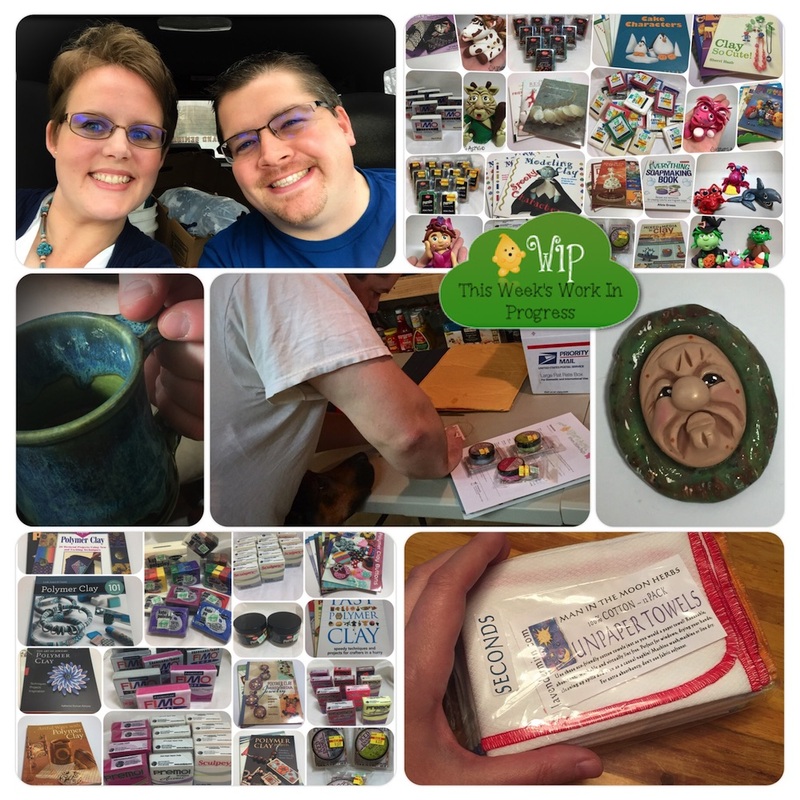 But for those of you who don’t have Instagram or a way to follow me on that platform, here’s just a smattering of what’s going on here and a few things I’m really enjoying in the polymer clay community as well. What’s Going on at KatersAcres? What’s going on at KatersAcres? Well, WIP Wednesday is here again! It’s been over a month since I wrote a WIP Wednesday. This happens for various reasons because I always have things to share with you, I’m just sharing them as they happen instead of in this weekly, bi-weekly (or in this case monthly) post. If you join me on Instagram you will see behind the scenes photos as well as my Insta-stories, which contain many of these behind-the-scenes photos, tests, and what’s going on in my studio. Continue reading What’s Going on at KatersAcres? WIP Wednesday is here again! 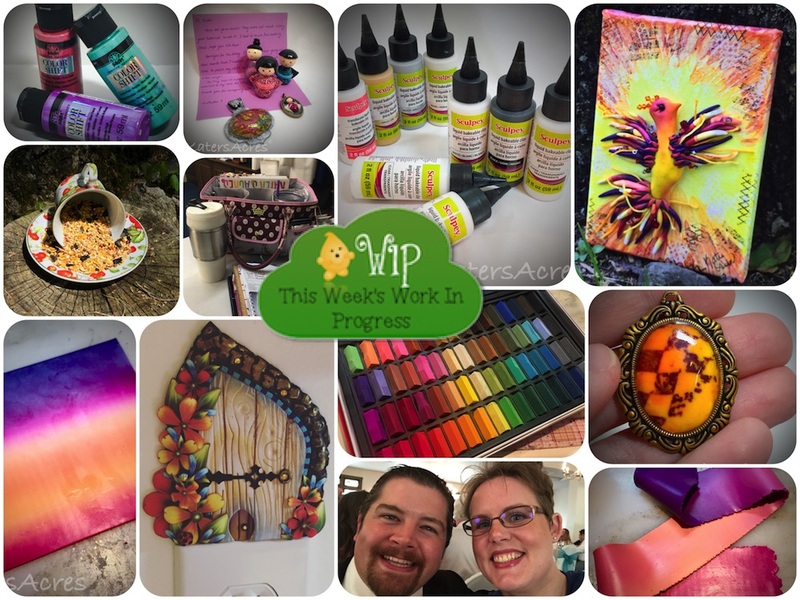 One of my favorite blog posts to write for you is WIP Wednesday and it’s hard for me to believe that it’s been two weeks since the last one. Last week I showcased some really awesome talent too, so if you missed it, you’ll want to be sure you check it out. Today you’ll get to see some more studio spotlights, a special Amazon deal, and even a special studio addition! Every WIP Wednesday post is jammed pack full of fun, it’s always a post you’ll want to see and read. WIP Wednesday is here again! 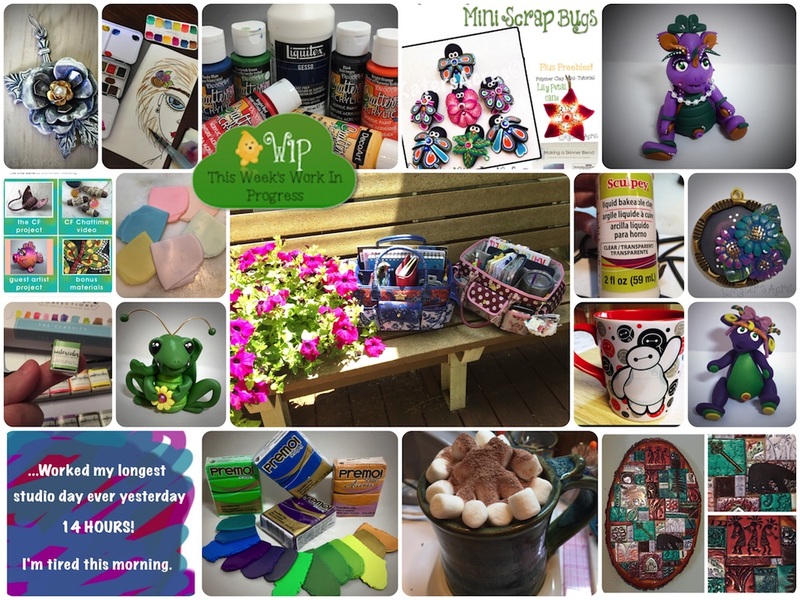 One of my favorite blog posts to write for you is WIP Wednesday. Why? Because I get to share everything I’ve stubbled on during the week. 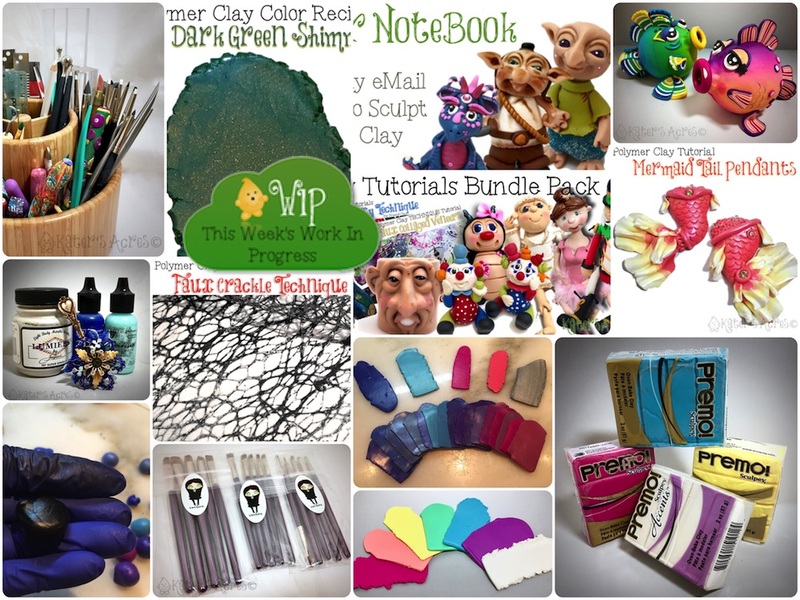 Today I’ve included more links to tutorials, teachers, blogs, & spotlights than ever! Be sure to catch all the special offers and savings this week too! WIP Wednesday’s sometimes make me tired. Let me explain. Have you ever looked around at all the pictures you’ve taken throughout the past two weeks and simply been blown away? It’s no secret that I don’t do polymer clay full time, but that I also serve as a minister alongside my hubby. So when I flip back through the last several weeks of pictures and try to pull a few to interest you, my darling readers, sometimes I get tired. These past two weeks have been a flurry of activity, especially with last week being Holy Week. 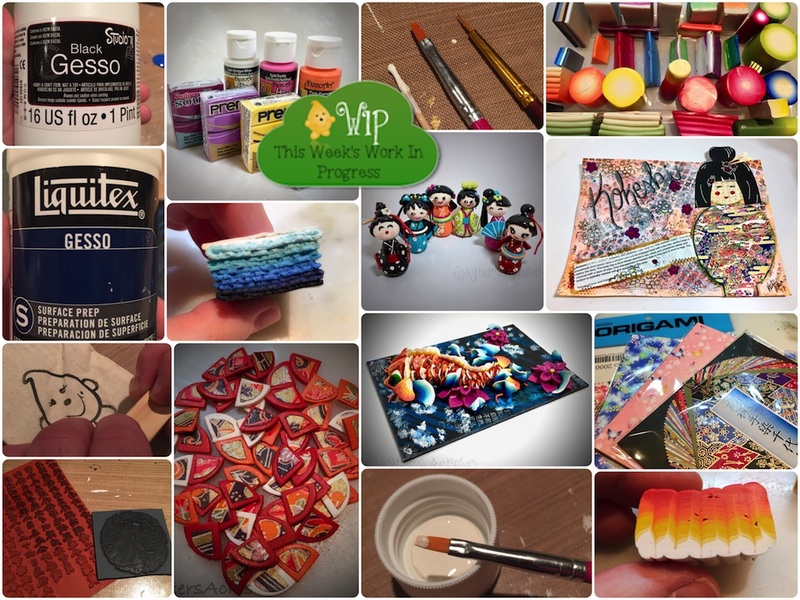 For this WIP Wednesday here’s a smattering of what’s gone on in my polymer clay studio including some helpful tips and tricks you might enjoy. 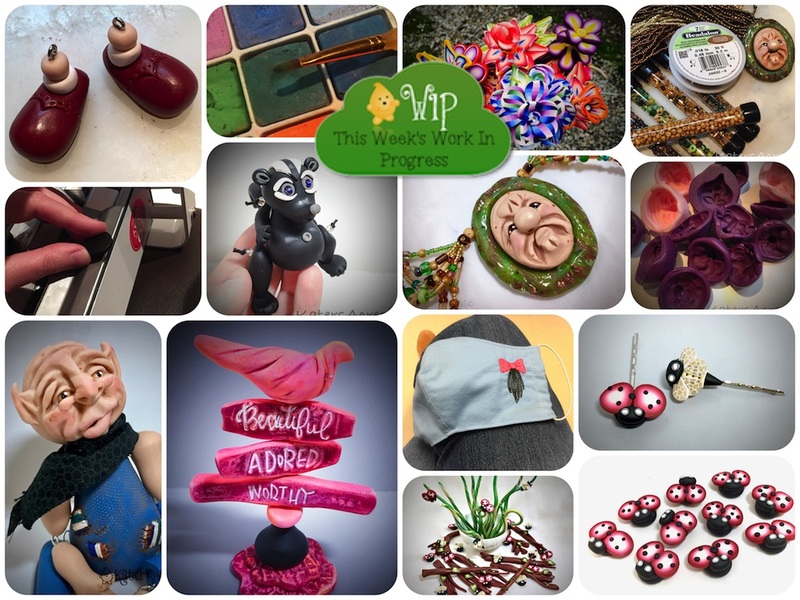 At the beginning of the year I asked all of you, my darling readers, if you still enjoyed the WIP Wednesday posts. I asked because sometime posts like this are hard to read because there’s no real “theme” to the post itself, because it’s really a collection of random “stuff” gathered over the past 1-2 weeks of what’s been going on here in my studio. 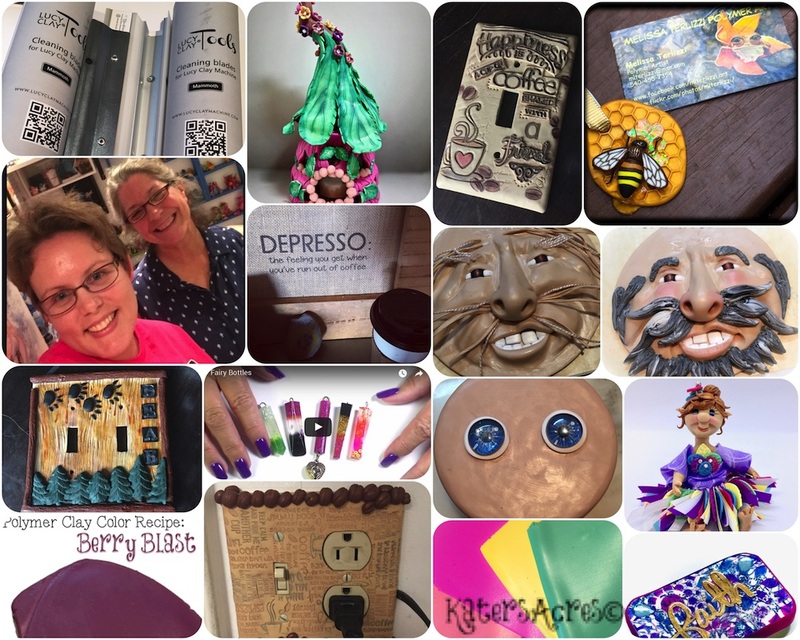 I’ve tried to add in polymer clay community news, highlights of other polymer artists, as well as some more information to aide in your polymer joy. So never forget to look at the bottom of the page too! 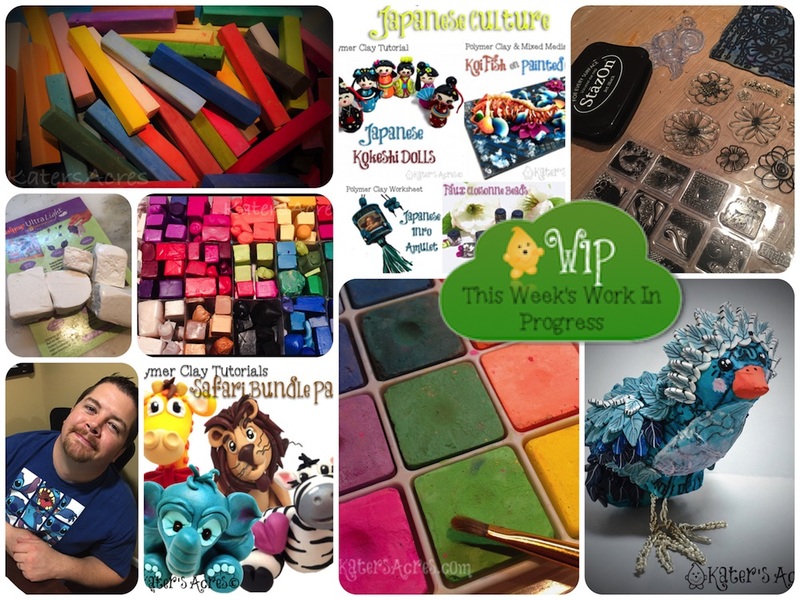 Continue reading WIP Wednesday’s Back Again! Into the Forest is an international collaboration of polymer artists and enthusiasts. It is inspired by the high altitude aspen groves in the Rocky Mountains. This project, Into the Forest is an evolving mixed media international installation from Laura Tabakman, Emily Squires Levine and Julie Eakes. 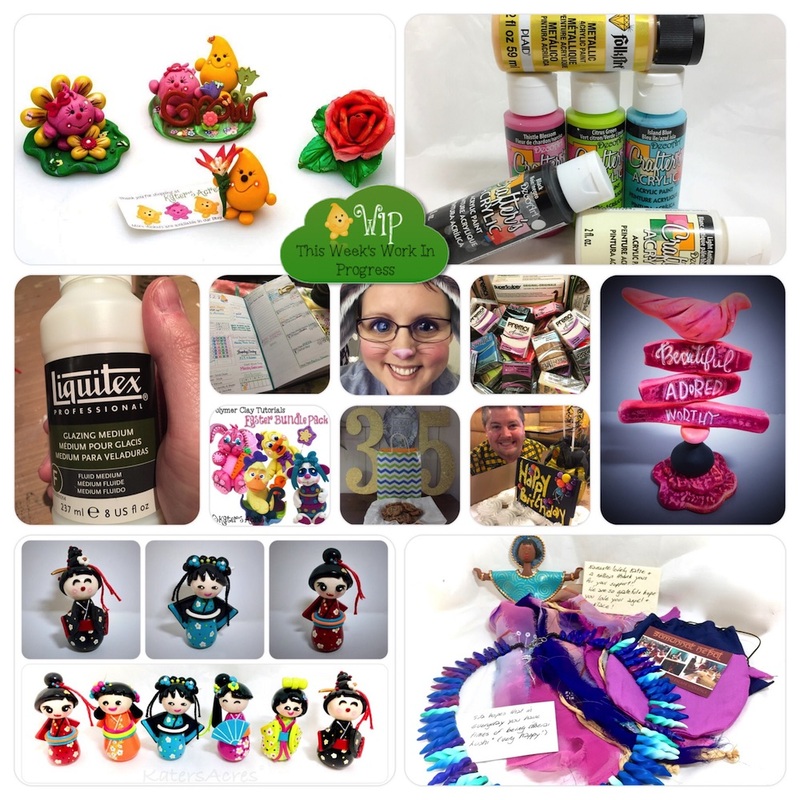 The idea was to bring together as many polymer artisans as possible in a wide variety of ways. We were to imagine ourselves in a forest. See it in your mind: On the ground beneath a canopy of branches and leaves, unexpected life exists. We were asked to create pieces which will form its life elements. We will combine them into living colonies of varying shapes, colors and sizes. Here’s a look at what I created for Into the Forest. One of the things that I am asked the most often is “why should I join a tutorial club anyway?” In all honesty the answers are as varied as the people who join them are. Today I’m going to give you a few reasons to join a tutorial club; and why you may want to consider joining any kind of a tutorial club (regardless of medium) in the first place.